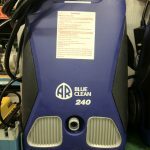 Home » The Blue Clean AR 1750: A pressure washer guaranteed to make a splash! 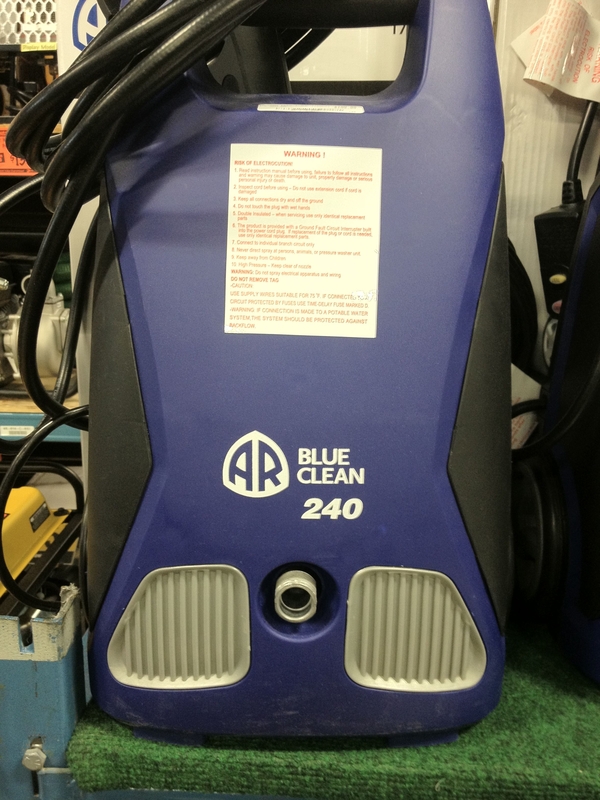 The Blue Clean AR 1750: A pressure washer guaranteed to make a splash! 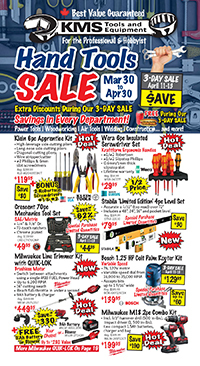 Here at KMS Tools, Spring has sprung! We are looking for ways to save you time (and a little money!) on your spring cleaning and get the most out of the tools you already have. 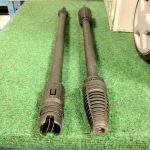 Here is a great solution to get your projects done in half the time by hooking your standard garden hose to an AR pressure washer. 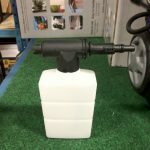 Since the 60’s Annovi Reverberi (AR) has built and designed some of the leading industrial pressure washer pumps worldwide. Within that time they have accumulated more than just a wealth of knowledge with their rugged designs and innovations. In the last few years AR has decided to change gears with their AR Blue Clean series which is built for the home-owner and professional user . The Italian designed AR 1750 portable pressure washer has an electric 12.5 AMP motor and a 3 Axial-piston wobble-plate aluminum pump. It might not mean much to some of us, but with several pressure washers in it’s class at the same price point with a plastic capped pump, having a fully aluminum pump makes a practical difference for the longevity of the tool. The AR 1750 has max 1750 PSI with a solid 1.5 Gallons Per Minute flow. It includes a built-in auto matic safety valve with pressure shut-off at the pump head which works as a total stop system for both the safety of the motor and the user. With a max 1.5 GPM the user is getting the most amount of water flow which ensures the best results in the least amount of time. The garden-hose hookup is also made out of aluminum to safeguard against any weaknesses between the hose input and the pump (this is one of the weakest points in a pressure washer system). 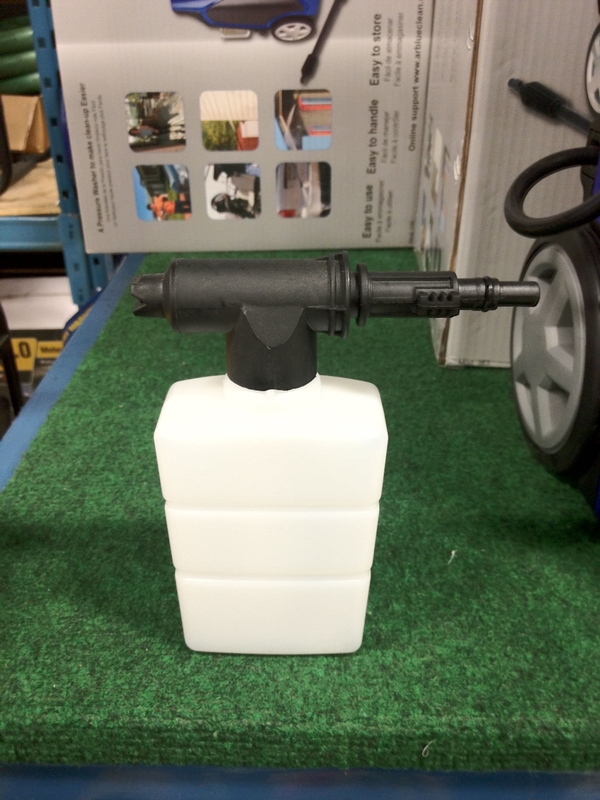 In addition, included in the package is a foam lance with a bottle kit, which can be filled with a a number of solutions to clean and degrease. The double pump filter ensures the pump’s longevity for years to come and AR does offer a one year warranty. Weighing just over 20 lbs. the AR is a great pressure washer for a do-it-yourselfer and a professional user that needs good pressure at a great price, with excellent mobility. On the ground, you get pressure that you’d expect out of an electric, but we were pleasantly surprised with the comfort of the included wands and the cleaning power at 1750psi. Although you may have a hard time using this unit to replace your gas powered Pressure Washer with any compact electric; the price tag and quality will win you over, at less than $200 everyday, that leaves hundreds in your pockets for another unit, or anything else you need. This entry was posted in Archives, New Tools, Outdoor Power Equipment and tagged Pressure Washer by Chris. Bookmark the permalink. 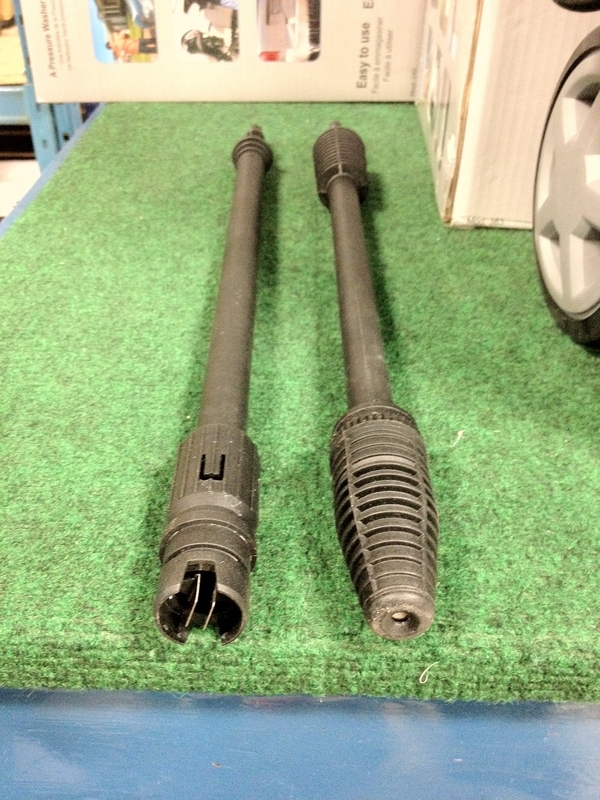 Next → Next post: The SENCO SKSXP: A staple of pneumatic tools.